Debate Mate is an educational charity based in the United Kingdom that aims to tackle educational inequality by recruiting, training and placing university students to run extra-curricular debate workshops in schools with above average Free School Meals. The programme raises speaking and listening attainment, as well as improves a range of high order thinking skills and non-cognitive abilities such as confidence, teamwork and leadership. 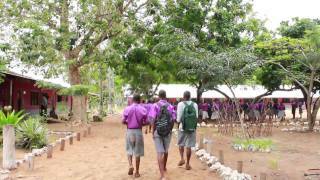 Debate Mate UK has collaborated with the Akili Trust to run a summer debating programme in schools across the Malindi area of the Kilifi County, Kenya, as part of Debate Mate’s International Programme. The three-week programme, staffed by members of the Debate Mate team and experienced university mentors, will equip students with vital 21st century skills of communication, teamwork and critical thinking. In working alongside the Akili Trust for a pre-pilot programme in February 2015, Debate Mate has forged strong relationships in Malindi with politicians, schools, students and local businesses. Debate Mate has also built relationships with Akili Trust’s librarians and the schools where they are based, and will run the programme in these schools. The programme will take place over three weeks from August 1st to August 19th. Over the first week, Debate Mate mentors will train school leaders at a secondary school in the fundamentals of debating, and how to teach these skills to younger students. Debate Mate mentors will then invite a selection of secondary school students and the Akili Trust bursary students to help lead the programme in Weeks 2 and 3. During the following two weeks, the mentors will teach in a number of primary schools. Debate Mate will teach the format and structure of debate, and spend time practising competitive debates and preparing for a local tournament involving all participating schools. Speaking & Listening: The interactive debating workshops will develop students’ speaking and listening abilities by helping them to articulate their ideas confidently, use formal English, listen actively, and express disagreement constructively. Employability Skills: The activity of debating will equip students with key employability skills such as leadership, teamwork, and critical thinking. All of the workshops are designed to foster these 21st-century skills. Empower Girls: The schools in which we will be working have shown a general pattern in which girls underperform and are less likely to succeed in secondary education. In particular, female recipients of Akili trusts’ bursaries do not perform as well at the secondary level as their male peers. Our aim is to improve the confidence and academic attainment of the girls on the programme through active encouragement and exposure to strong female role models. Raise Aspirations: The 3-week programme will raise students’ aspirations through interaction with inspiring university mentors, who will encourage them to aim higher both in their schoolwork and in their careers. To this end, we hope to have an especially strong impact on the secondary school students, who will soon be thinking about advancing to university and pursuing different post-secondary choices.